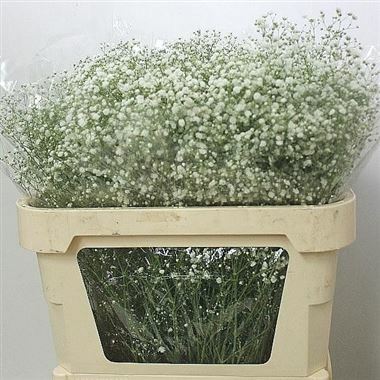 Gypsophila White Victoria, also known as Baby's Breath, is a White cut flower - commonly used in the floristry trade to create a softening effect because of the numerous, tiny flower heads on each stem. It is approx. 70cm and wholesaled in Batches of 100 stems.